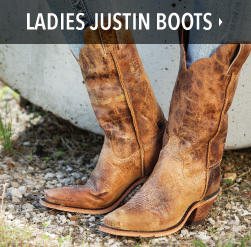 Since 1879 the Justin Boot brand has been making hand crafted cowboy boots for women, men, and kids. 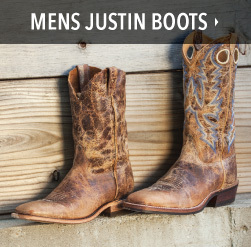 Justin boots western footwear can be found on celebrities, in the office, or on the ranch. They also take pride in making some of their boots right here in the USA. 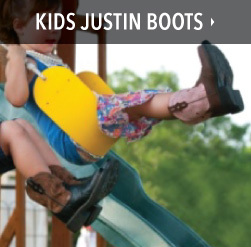 When you shop our wide selection of Justin Boots you'll receive free shipping on your purchase of $150 or more. You can also come by our store and try on any of our Justin Boots or call us at 800-222-4734 and we would be happy to answer any questions you may have about their sizing or fit.